Rick brings more than 30 years of hands-on flatbed experience within the trucking industry. 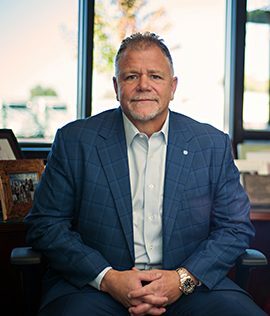 Rick's leadership is the driving force behind the company’s continued growth and reputation as the one of the best in the industry. His passion for trucking launched Central Oregon Truck Company more than 25 years ago. Rick maintains his CDL. 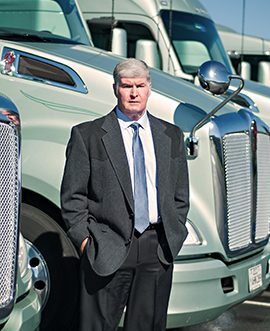 Phil is a 30-year veteran of the trucking industry. Phil began his career as a flatbed driver then moved quickly into maintenance, shop management, and tractor and trailer procurement. Phil specializes in the design and procurement of equipment to maximize capacity, improve reliability and ensure safety. Phil maintains his CDL. Luke is third generation trucking. Flatbed trucking is his heritage. Luke specializes in overseeing the daily fleet operations guaranteeing the efficient and effective movement of freight to meet both customer and driver expectations. He earned a Bachelor of Administration in Business with a minor in Entrepreneurship from Western Oregon University, Monmouth, Oregon. 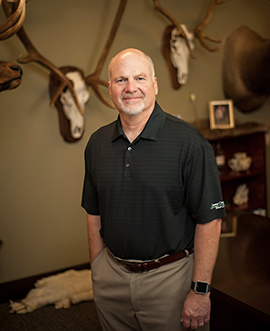 Paul brings more than 30 years of financial leadership experience with an emphasis on financial reporting and accounting challenges affecting small to mid-size companies. Paul began his career in public accounting. 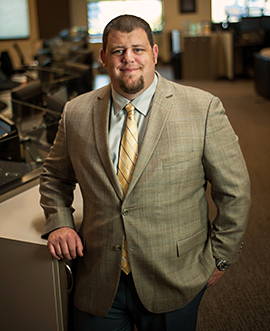 He earned a Bachelor of Administration in Accounting from Portland State University, Portland, Oregon; and is a Certified Public Accountant in the State of Oregon. 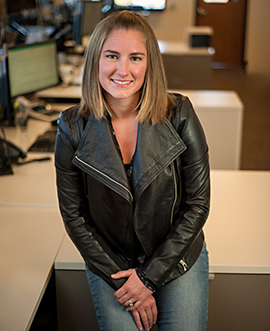 Jessica offers more than 10 years of experience in financial reporting, US GAAP, and financial analysis for publicly traded and privately held companies. Jessica began her career in public accounting. She earned a Bachelor of Science in Accounting from American University in Washington, District of Columbia; and is a Certified Public Accountant in the State of Oregon.